In every high school, Prom is the event of the year. 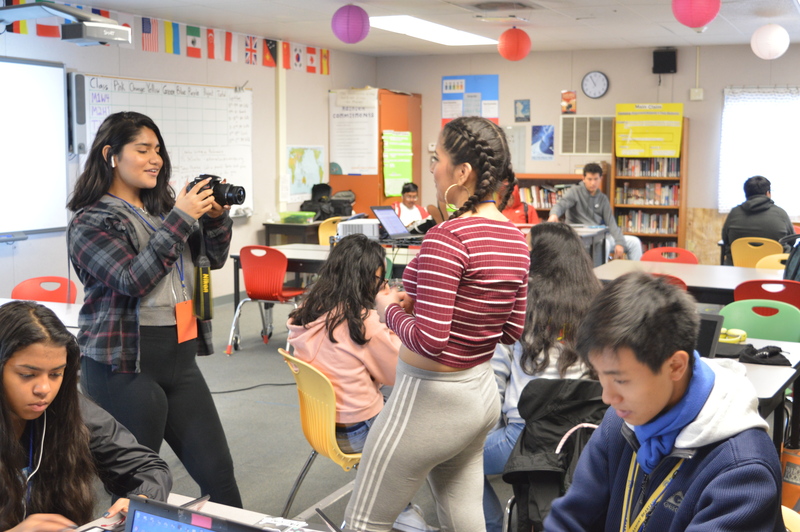 Often viewed as the “last hurrah” of the school year, students count down the days to this famed event, planning and prepping for months in hopes of crafting the perfect night. For many students, this includes getting the perfect dress, getting matching corsages and boutonnieres, or reserving a limo to arrive at Prom. But for a portion of the student population, planning the perfect night is very different. The Everest Student Government has been working very diligently over the last few months in order to plan their Prom. For us, this event is the highlight of all of the hard work we have been doing over this past year; this is our time to shine. We have been putting in the hours to make sure that Prom is the best it can possibly be in our own attempt to plan the perfect night. For such a small school though, this can be difficult. We do not have the same budget as a school like Sequoia or Carlmont, and so we have our work cut out for us. We are also planning a joint Prom with both Summit Prep and Summit Denali, which adds another element for us to plan. We will need all of our planning complete before our Prom date, which this year is May 4. The greatest difficulty we are dealing with is our budget. For the size of our schools, the budget is reasonable; we are estimated to have around 300 students at the event. The complications come when trying to have high-quality decorations and elements at Prom. Student Government has been fundraising throughout the year for Prom, but with such a large price tag it is difficult to get all of the money we need on fundraising alone. By partnering with other schools, we can then expand our budget because we increase the number of attendants at the event. If we were to have a Prom for Everest alone, there would only be about 125 attendants. With the budget we are working with this year, we are devoting most of it to the venue, which this year is the Marriott in San Mateo. Because of this, our spending limit on decorations and other items like a DJ or photos is more limited. This provides issues when trying to create a more luxurious appearing event to appeal to students. As Treasurer of Everest’s Student Government, I have been putting in my best effort to ensure that our Prom is classy and elegant on this budget. This isn’t the easiest task, as cheaper decorations can be low quality and can make an event seem cheap. I want to ensure that our Prom is refined and that it reflects the effort and time we put in it – not the budget. Because of this, most of the time I put into planning this event is directed towards the decorations; they can make or break the event. One main resource for our planning process has been Pinterest. This source has a multitude of uploads of cheap but high-quality ideas for decorations. Even with our theme, which is Casino, we have a countless number of options for decorations on this site. With these ideas in mind, we then take to sites like Amazon, which has affordable supplies to create the decorations we envision our Prom to have. With these supplies that we purchase we will be making decorations such as large dice, centerpiece and card deck wall decor. I have been keeping track of the items we have been purchasing, concerning the price and the quantity of the items, so that we stay within budget. Fortunately, we have been prepared for specific situations like this! Past projects in our math classes have allowed us to get a first-hand experience with budgeting and event planning. By using these mathematical skills we learned in class, we are able to create budgeting plans that outline how much we can spend and not go over our limit. Everest Student Government President Ignatius Hayer said that planning on a small budget has been great as it has taught him ways to plan so that in college, when budgeting is tricky, he will know ways to save his money. He also said that he has learned a lot about how to use coupons and how there are many ways to purchase items for a portion of their original price. With a smaller budget though, it is difficult to live up to the expectations many students have about Prom. 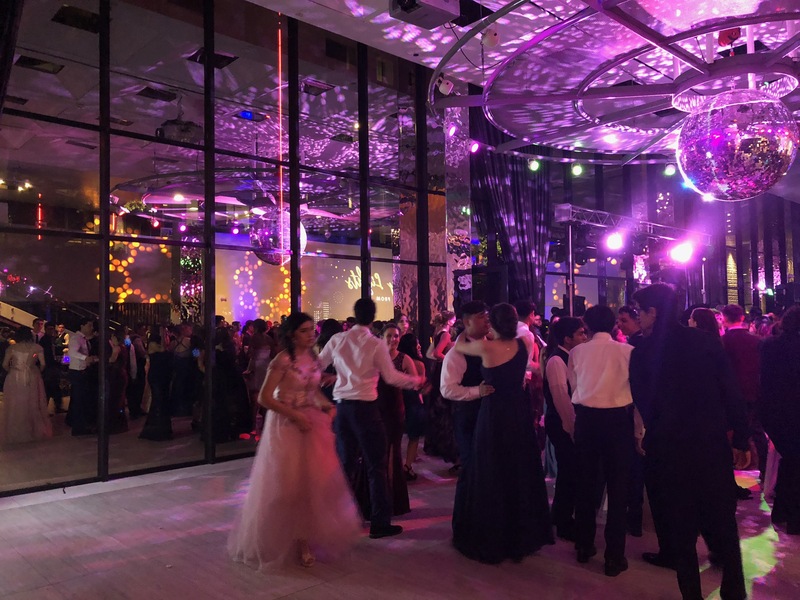 Larger schools in the area have big luxurious Proms, renting out venues such as San Fransisco City Hall, providing fun activities such as game tables and catering beverages from popular restaurants. These Proms are hard to be compared to as they have a much larger budget and a much larger group of attendees. These Proms are also very difficult to plan. Venues like San Francisco City Hall often have to be booked about a year in advance and, with locations being farther away, travel fees become an issue. Because of how expensive these large Proms are, students often have to pay upwards of $90 for tickets. That plus however much a student spends on their personal effects – clothing, hair, accessories, transportation – can make Prom a multi-hundred dollar event. Having a smaller Prom is less stressful for the students. Not only are the tickets half the price of that of a large Prom, but the venue is closer and the number of attendees is smaller. It allows the students to focus more on themselves and worry less about transportation and paying for their tickets. There are many benefits to a smaller Prom, and I believe it works really well for our school considering how close our community is. Prom can be a very beneficial community event if it is executed properly. We want students to reminisce on this night, to think fondly of it and to remember how fun and beautiful it was. Prom takes months to prepare for, and at times the planning seems grueling; but when the set day finally arrives, all of the stress will have been worth it when we finally get to see our perfect night all put together.